Children don’t only learn at their desks, inside the classroom. School trips can also prove highly educational, whether they involve a trip to a museum, a visit to an art gallery or a hunt around the ecosystem of a nearby wood. Trips enable children to learn in a practical setting, to see new things, experience different places and imagine other lives. They are useful across the curriculum, enhancing the study of subjects as diverse as English, Science and Physical Education. As beneficial as they are, trips take time, effort and money to plan. 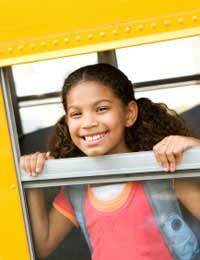 Furthermore, in order to secure a safe adult to children ratio for excursions, extra help must be drafted in. For these reasons, some schools organise fewer trips than children, parents and even teachers might prefer. So, what can be done? Below is an example of a letter that could be sent to a child’s school, encouraging the staff to organise more trips. Parents’ enthusiasm and presence can be a great help when it comes to arranging school trips so, if you can, why not offer your time as an adult supervisor or group leader? My son Ben French, a pupil in 8C, greatly enjoyed last year’s trip to London Zoo. He has always had a keen interest in the natural world and the visit helped to ignite this further. He particularly enjoyed seeing the zoo’s selection of exotic insects and arachnids and learning about their lifecycles. Thank you for making that great day out happen. Whilst Ben does enjoy school, at times he lacks motivation. In the weeks following the zoo trip, I noticed that his interest in his studies was stronger than usual. He seemed energised and applied himself with enthusiasm, in Science and all his other subjects too.Ben has told me that he is disappointed not to have gone on any school trips since. Are there any more in the pipeline? If not, I urge you to consider arranging more. Great trips seem to really capture the children’s imaginations and give them a thirst for learning. I understand that trips take time, effort and money to organise and appreciate all that your hardworking staff do. Perhaps you could organise some shorter, half day trips closer to home? For example, Ben is currently doing a project on the local area in History class. It seems strange that, given the subject matter of his current lessons, no trips into the town have been arranged.I’d like to offer my support on Ben’s next trip. I would be happy to come along on the day as a parent supervisor, leading a group if necessary. Do please let me know about any training or checks I will need to undergo first. I look forward to hearing from you about this. You can contact me, Susan, on 0131 2343 9049 or 0723422342, or email me at susan@bensparents.com, or write to the address above.